The latest developer diary for the Hunted: The Demon's Forge delves into an oft overlooked aspect of games: sound design. How do they get arrows to sound like arrows? Sadly, they don't shoot arrows inches away from a microphone. How do they get sloppy sound of a gory kill shot? Believe it or not, you just can't kill stuff on a sound stage, at least not in this country. Find out little secrets like these and more in this enlightening 4 minute video. There's plenty of in-game footage, as well. 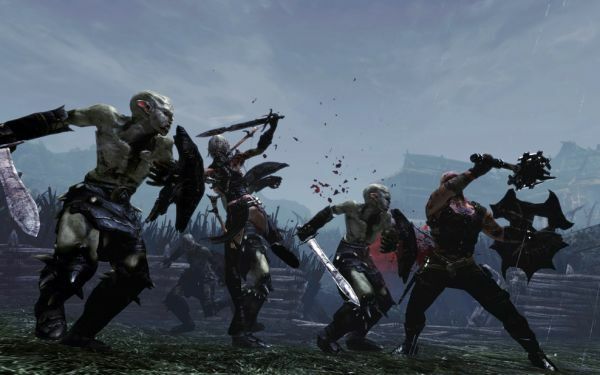 Hunted: The Demon's Forge will be out on May 31 for the Xbox 360, PlayStation 3, and PC. It supports 2 player local an online co-op. Page created in 0.2201 seconds.